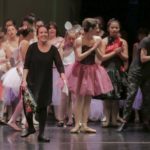 When 19-year-old Sarah Hansen was in kindergarten, she announced she would someday dance the role of the Sugar Plum Fairy. Diagnosed with a degenerative nerve disease, Hansen has trouble walking, let alone dancing. Nevertheless, when asked to draw a “window to the soul” for an art project, she filled hers with ballet slippers and tutus. Sixth-grader Liam Kay, who is on the autism spectrum, discovered a passion for ballet after seeing “The Nutcracker” when he was 5. He too dreamed of appearing in the Yuletide favorite. Two years ago, Ballet for All Kids, an Agoura Hills dance studio that teaches classical ballet to students of all abilities, produced a full-length performance of “The Nutcracker.” Hansen and Kay, who train at the studio, appeared in the presentation—Hansen as the Sugar Plum Fairy and Kay as the Nutcracker himself. They agree the experience was wonderful. “It was like eating all the chocolate in the world and not getting sick,” says Hansen, a college sophomore from West Los Angeles. Bonnie Schlachte, 48, the nonprofit’s Founder and Executive Director, doesn’t think of herself as a fairy godmother. 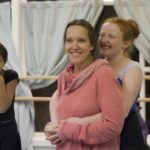 But the Ojai resident’s dedication to bring the joy of dance to everyone, including those with special needs, has changed lives. Hansen says her walking has improved since she began ballet at age 11. She has better spatial awareness and more muscle control. “It’s easier to stay upright, and I don’t fall as much,” she reports. His mother, Jamie, knew conventional studios wouldn’t be a good match. 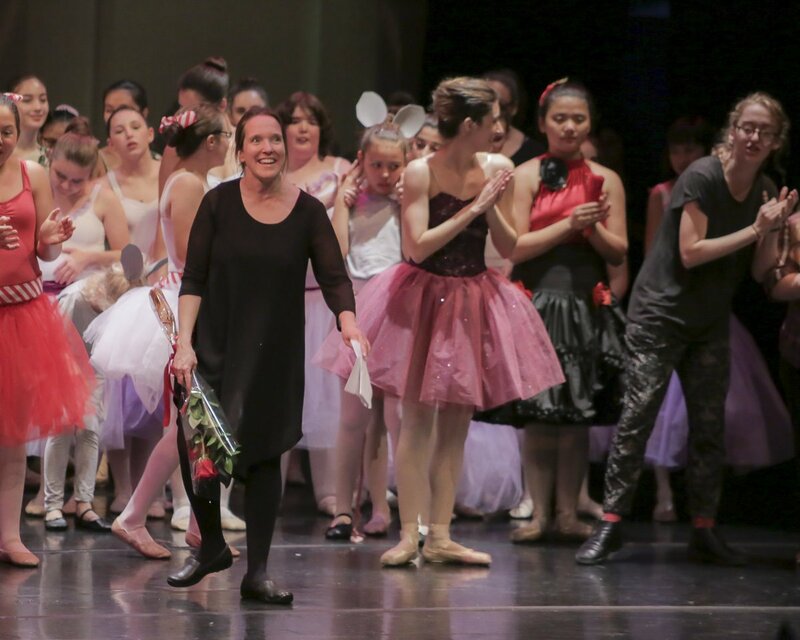 Schlachte says all students reap the physical and social benefits of ballet, including a boost to self-esteem and self-discipline, increased attention span and improved listening skills and coordination. Schlachte’s unique background led to the creation of Ballet for All Kids. Schlachte trained in the Royal Academy of Dance system and attended the University of Maryland on a dance scholarship. When her friend died in the Pan Am/Lockerbie bombing, Schlachte re-examined her life choices, and realizing she would never become a professional dancer, switched majors, graduating with a degree in psychology. Schlachte found her calling. For 26 years, she’s worked with organizations serving people with disabilities and is currently the Director of Development at People’s Care, Chino Hills. 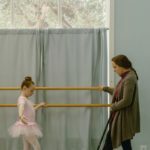 The idea for Ballet for All Kids came one night when Schlachte was rocking her baby to sleep and began thinking about sharing her love of dance. Her child didn’t have developmental challenges, but if she had, where would she take classes? An online search showed nothing was available. The lightbulb went off: She would start her own studio. 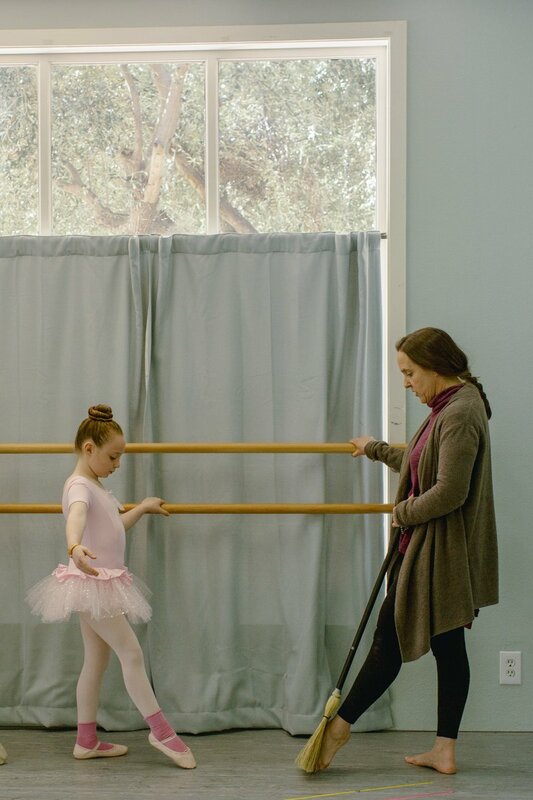 Marking its 10th anniversary, BFAK in Agoura Hills has 115 students, offers eight classes in ballet and other dance styles, and has 75 volunteers to assist. Classes are also available in Encino and the New York City area. A Chicago branch will open soon. 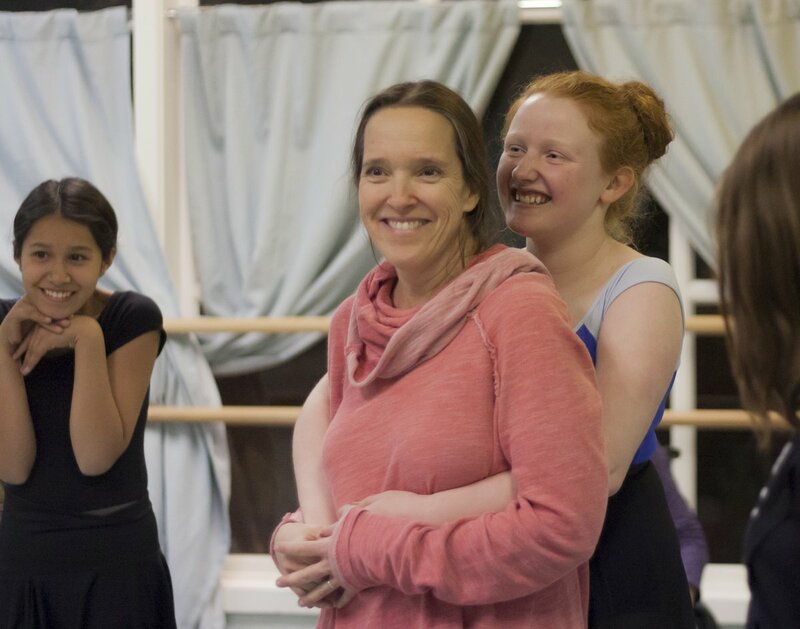 Schlachte’s husband Paul, a writer, and daughter Tess, now 13 and a BFAK student and volunteer, strongly believe in its mission: to provide the benefits of a classical ballet education to students, regardless of abilities, body type or learning style. “We’re the only fully integrated studio,” says Schlachte. Children with cerebral palsy, Down Syndrome and other developmental disorders, learn alongside “typical” students, who aren’t interested in competitive studios and prefer a supportive, caring environment. 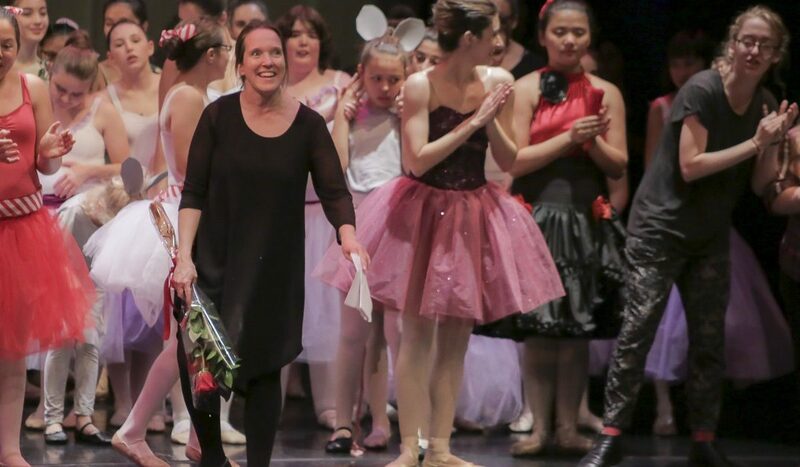 Dancers are showcased in a spring recital and a full-length winter holiday production. Last year’s “The Littlest Star” featured Mallory Lewis and Lamb Chop as narrators. “Our ‘Peter and the Wolf’ and ‘The Nutcracker’ were the only all-inclusive productions of these ballets in the world,” Schlachte says. The students rehearse for months. 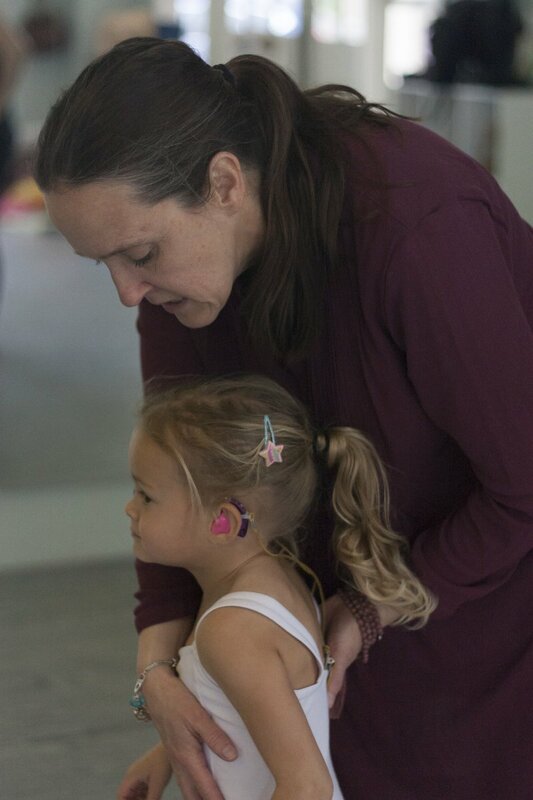 Schlachte applied her knowledge and experience working with occupational and physical therapists, speech pathologists and behaviorists to develop The Schlachte Method, key to the program’s success. 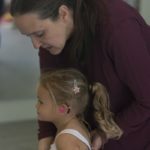 This unique approach uses a variety of teaching styles to accommodate all modes of learning—visual, auditory and kinesthetic. “Everyone has a strength we can use as a springboard to learn new skills,” she explains. For example, colored squares placed on the floor help visual learners know their personal space. Additionally, all students receive a DVD, with music composed by Schlachte’s sister, a US Naval Academy choir director, that reinforces class lessons. The program has positively transformed teachers, volunteers, parents and students. “It gives hope and changes attitudes, teaching us we all have capabilities beyond our limited beliefs,” says Schlachte. Parents have told her how their children are better in school, participating in sports and making friends. To learn more, visit BalletForAllKids.com.